How to quickly store information so you can recall it with easy. Memorization is one of the most essential tools of effective Masonic education. Memorization is the skill of quickly organizing and storing information (whether in verbatim or understanding form) so that it can be recalled later. To be considered a Chess expert, a person has to learn about 50,000 chunks of complex information that allow professionals to make better decisions and quickly solve problems. Studies show this is true for expertise in all domains, especially Masonry, as many experts rely on their accumulated remembered experiences to make decisions versus relying solely on a set of rules. Improved memorization & recall skills drastically “speed up” the expertise learning process by quickly and securely storing information, while making memories easier to access. In fact expertise in memory has historical been seen as a superpower, with both divine and practical attributes. Photographic Memory : A trained set of memorization skills and strategies to memorize more chunks of information faster and for longer. Wise Counsel : An intelligent mental database of Masonic Knowledge, Experience, and Wisdom. Why memorize? The Masonic Advantages of Memory training. History of Memorizing the Craft. A simple entered apprentice memorization system. 30 tips, tricks and techniques for memorization. Improve your verbatim (memorizing word for word) memory skills. The Masonic Art of Memory : Secret of Photographic Memory. The Masonic Art of Memory : 7 Masonic Crafts that are enhanced by superior memory. 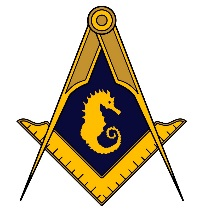 Legends of the Craft is a masonic educational blog that organizes a once yearly symposium in New York City.